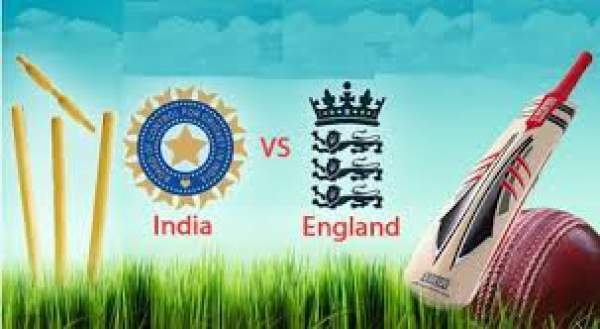 Live streaming of India vs England (IND vs ENG) 3rd T20 game is here. You can feel free to watch England v India 2017 match online on the page. This is the third and final T20 game of the series. As of now, the series is locked out at 1-1. Both the teams have won a match each, and whosoever wins the third will win the series. India defeated England cricket team in both the Test and ODI series by 4-0-1 and 2-1 respectively. The team led by Eoin Morgan finally showed its strength in the first T20 when defeated the men in blue. The details of India vs England live streaming is available on the page. So, scroll down and get the same along with the start time and tv channels name. They definitely put up a strong fight and thus were declared victorious. However, the team India made its comeback and won the second T20I match narrowly in Nagpur. Today’s game is to be played in Bengaluru. On the one hand, Virat Kohli is looking forward to winning the first T20 series as the captain. Watch: South Africa vs Sri Lanka 2nd ODI. On the contrary, Eoin Morgan will be looking towards finishing the series on a high and win at least one series of the tournament. The series is tied before the third T20I game. It is no doubt that English bowlers have created problems even for the Indian superstar batsmen. However, as the history speaks, Bengaluru has been a terrible place for bowlers. Also, the audience can watch it on tv with live telecast on Star Sports 1 and Star Sports 3 and the HD version will be on the corresponding high definition tv channels. The match starts at 7 pm IST while Star Sports will start covering it from 6 pm IST. India TV: Star Sports HD1, Star Sports HD3, Star Sports 1, Star Sports 3. Live Stream: Hotstar. UK TV: Sky Sports 2. Live Streaming: Watch Sky Sports. The USA and Canada TV: Willow TV. Live Stream: Willow TV Online. Australia TV: Fox Sports 3. ENG v IND Live Streaming: Foxtel. New Zealand TV: Sky Sport 1. Cricket Live Streaming: Sky Go NZ. Middle East TV: OSN Sports Cricket. Live Stream: OSN Cricket Live. South Africa TV: SuperSport6. Live Stream: SuperSport Online. India to win the series with this match. India: Virat Kohli (capt), KL Rahul, Mandeep Singh, MS Dhoni (wk), Yuvraj Singh, Suresh Raina, Rishabh Pant, Hardik Pandya, Amit Mishra, Parvez Rasool, Yuzvendra Chahal, Manish Pandey, Jasprit Bumrah, Bhuvneshwar Kumar, Ashish Nehra. England: Eoin Morgan (capt), Jason Roy, Jonny Bairstow, Joe Root, Jos Buttler (wk), Ben Stokes, Moeen Ali, Chris Woakes, David Willey, Adil Rashid, Jake Ball, Liam Dawson, Jonny Bairstow, Sam Billings, Liam Plunkett, Tymal Mills. Stay tuned for live cricket score, cricket commentary, ball by ball updates, scorecard, the man of the match, highlights and much more.